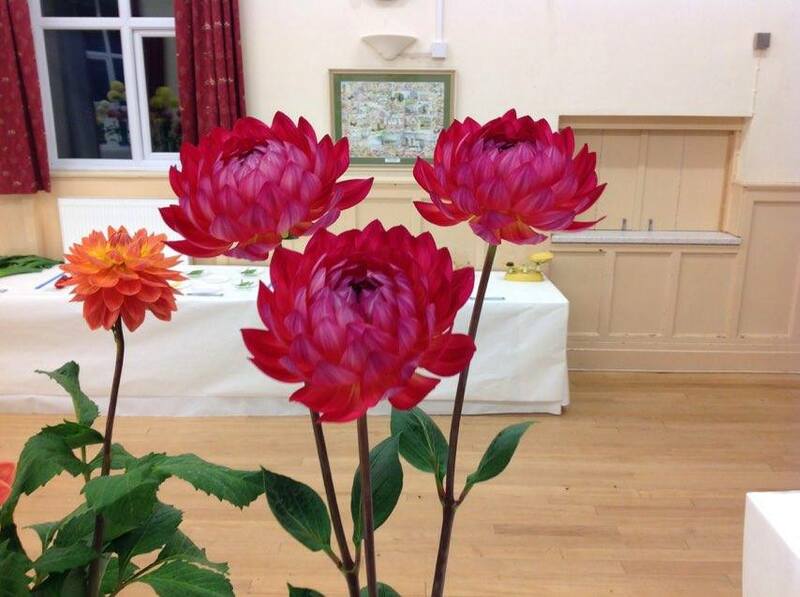 We started the season at Bolton-le-Sands where Mrs Davies won bronze with a display of dahlias. 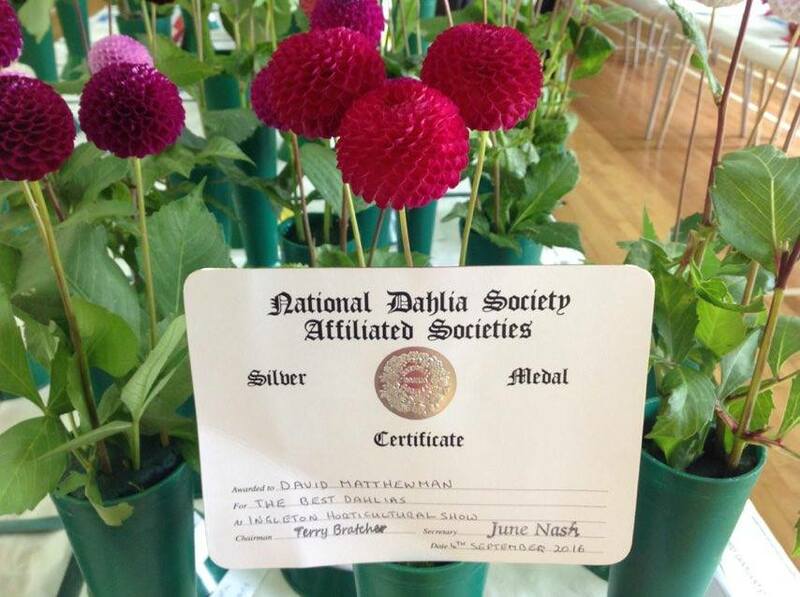 Jack Gott won best dahlia exhibit with three Collerettes of Susan Gilbert. The silver medal was won by Steve Burns with his championship exhibit consisting of Eastwood Moonlight, Trelyn Kiwi, Winholme Diane and Rhonda. Jack Gott won silver with a lovely bowl of Kilburn Glow and bronze with three Kilburn Glow. Ian Sutherland won silver with his championship exhibit consisting of Kenora Challenger, Trelyn Kiwi, Mary’s Jomanda and Barberry Surprise. The bronze medal went to Jimmy Hegginbottom with three Kiwi Gloria, also a second bronze medal went to Doug Fishwick and Diane Carr with three Narrows Tricia, three Ryecroft Jan and three Mary’s Jomanda. You can find more details about our show by clicking here. Jack Gott won silver and best exhibit in the show with a bowl of Kilburn Glow. Jack also won the bronze medal with three Ruskin Avenger. Andrew Richardson picked up the silver medal with his exhibit of three Trelyn Kiwi. Dave Matthewman won silver with a vase of Vino (pom). Dave also secured the bronze medal with three giants; two Sir Alf and one Bryn Terfel. 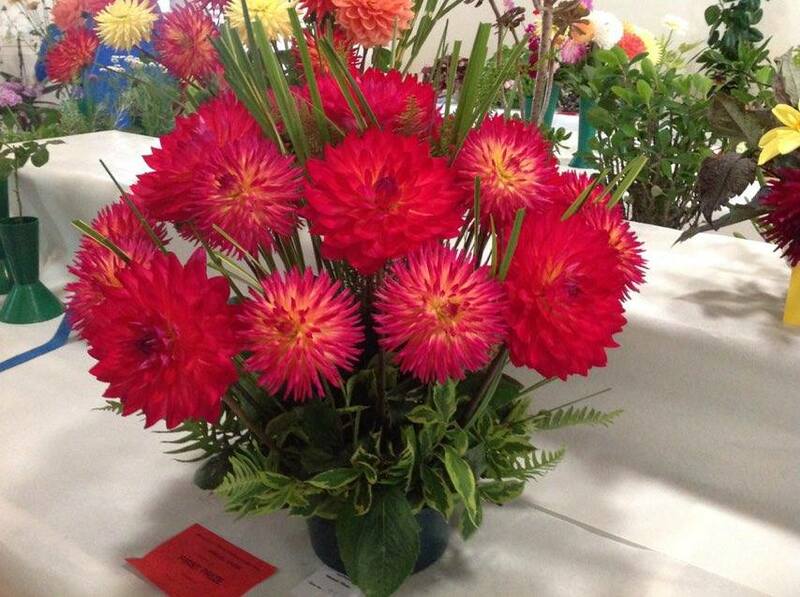 Ian Sutherland had another good day, winning silver with his championship exhibit including Kiwi Gloria, Barberry Surprise and George Marston. Ian also won bronze with three Deborah’s Kiwi. The last show in the area at Kendal saw Jack Gott win silver with three Shep’s Memory.